By John L. Bryan, Jr., Esq. “Eminent Domain”, the government’s power to take private property for public use, has been described by the Florida Supreme Court as one of the harshest proceedings known to law. Through its power of condemnation, a government body can “take” the property of a private citizen, provided that the citizen receives “just compensation”. Unfortunately, the government’s idea of “just compensation” may not realistically match that of the property owner’s. The law firm of Scott, Harris, Bryan, Barra & Jorgensen, P.A. provides the protection and guidance a property owner needs to be assured that the compensation he or she receives is in fact just. In cases where a governmental (or quasi-governmental) body seeks to “condemn” the property of a private party (whether for road widening or expansion, or other public improvements, such as parks, ports, and/or urban renewal), the Scott, Harris law firm helps the private party obtain the maximum, justifiable compensation. The Scott, Harris representation involves a concentrated team effort among the firm’s lawyers and an array of experts such as real estate appraisers, engineers, land planners and accountants, all of whom work together to develop a complete and accurate knowledge of your property, and its true value based upon its highest and best use. This team works closely with the person who knows the property the best the property owner. 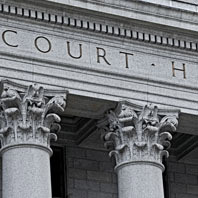 The combination of the eminent domain experience of the firm’s litigation attorneys, with the expertise of the firm’s real estate attorneys, allows Scott, Harris to provide the professional service and guidance that a property owner needs to protect himself from the seemingly all-powerful government. Those services include counseling through the complicated maze of pre-suit negotiations, coordinating and evaluating appraisals, handling court proceedings and depositions, participating in mediation, and if a just settlement cannot be reached with the condemning body, proceeding to trial. In condemnation actions filed by state governmental and quasi-governmental bodies, the condemning authority pays all attorneys’ and professional fees and costs incurred by the property owner. These fees and costs are not deducted from the award to the property owner; the condemning body pays them in addition to the award. Scott, Harris, Bryan, Barra & Jorgensen, P.A., a local firm in existence for more than 50 years, stands ready to protect the interests of property owners facing a battle with the eminent domain powers of the government. For a consultation, call (561) 624-3900. Or fax (561) 624-3533. To correspond online, please fill out our contact form with your comments.